Published: April 5, 2012 at 08:37 p.m. Happy Opening Day everybody! 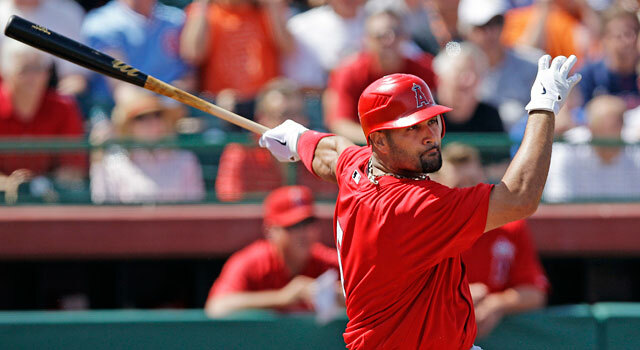 Though I strongly believe Opening Day won't officially start until Albert Pujols takes his first swings Friday for your Los Angeles Angels of Anaheim. Sorry, A's, Mariners, Marlins and everybody who played Thursday. Seriously, this has to be one of the best times of the sports calendar. We just ended March Madness, Wrestlemania was a success (especially in irritating the marks still stinging from Daniel Bryan's loss, and I'm one of those guys), the Masters and Opening Day. The only thing missing is football (even though college spring practice is under way on some campuses). The whole thing has me jonesing for some football, so in the spirit of Opening Day, I present to you my favorite recent NFL openers. Obviously this one springs to mind because it's so new. But this performance was mind-blowing, even if it came against the Cardinals' defense. The funny thing is people (me included) thought it might have been a one-week aberration. It wasn't, and this game looked more amazing the further you got from it. The only downside for Newton was that his Panthers lost, 28-21. Moss had the best rookie debut I had ever seen, until Newton torched the Cardinals this season. And while people remember Moss torching the Cowboys on Thanksgiving (pictured), he started his season with two long bombs against the Buccaneers in a 31-7 win, one of them coming early in the game to set the tone for the entire season. Again, I don't mean to go too heavy on the most recent games. However, the Thursday kickoff game has become the unofficial start to a worldwide three-day weekend of NFL glory. This game was nuts, as the Packers were able to hold on for the 42-34 win with a goal-line stand on the game's final play. This game would have been memorable, thanks, in no small part, to the aesthetically pleasing uniform matchup. I don't know what was more improbable about the Patriots' win: Tom Brady throwing two touchdown passes in the final minutes, rallying New England to a 25-24 win, or that it was Ben Watson who caught both. Seriously, Ben Watson? What a game! This was the first year I ever played fantasy football, and my two quarterbacks were Dan Marino and Drew Bledsoe. I wasn't able to watch this game, but I was following the score, so I called our league commissioner to see how many touchdowns Bledsoe and Marino accounted for -- and he hung up on me. The Dolphins won 39-35 as Marino and Bledsoe combined for nine touchdown passes. That's right: I was monitoring the Patriots-Dolphins game from my seat in Aisle 9 of Anaheim Stadium. This game was memorable because everybody knew the Rams would relocate after the season (the franchise had been shopped to Baltimore the year before), so the move was inevitable. And the Cardinals had just hired Buddy Ryan to be their coach, and he proclaimed "there was a new sheriff in town." We figured the Rams would get smoked. A strange thing happened, though. The Rams played a great game to send the Cardinals packing, with a 14-12 victory. We would have taunted the Cardinals fans, if there were any. But it was probably the last good thing the Rams ever did. I never got to see the Rams win a Super Bowl, but this humbling of Buddy Ryan was close. "Greatest player-coach squabbles in NFL histor..."